John Wilson/Lucasfilm via AP This image released by Lucasfilm shows Mark Hamill as Luke Skywalker in "Star Wars: The Last Jedi." In 1977, a film was released that would change the cinema industry for generations. “Star Wars” was not only an instant classic, but it was a film people would watch for years to come. The movie led to two sequels and prequels released in the early 2000s. On Dec. 15, “Star Wars: The Last Jedi” was released, adding to this legacy and delivering a thought-provoking story with emotion beyond many other space films. The story picks up right after “Star Wars: The Force Awakens,” which was released in 2015. 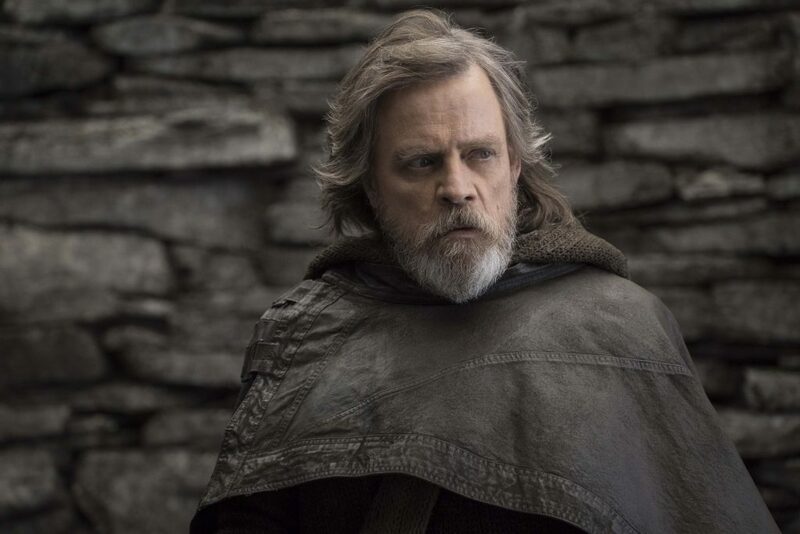 The film, a direct sequel to the 2015 release, explores the quest of the scavenger-turned-Jedi Rey, played by Daisy Ridley, to find Luke Skywalker, played by Mark Hamill, who is in exile on an island. She must try to convince him to join the Resistance against the First Order. Many of the Star Wars films, including “The Empire Strikes Back” and “A New Hope,” are known for their amazing actors and the acting in The Last Jedi” is spectacular throughout. The late Carrie Fisher, who plays General Leia Organa, and Hamill have expanded roles from “The Force Awakens.” They shine throughout the film, while inviting the audience into an exploration of their characters’ motivations and inner conflicts, including Leia struggling to find support for the Resistance and Luke despairing over the choices he has made as a Jedi. The newcomers, including Ridley and Oscar Isaac, who plays Poe Dameron, have the benefit of being able to portray their characters without the burden of the precedents of the original trilogy. Adam Driver gives a standout performance as Kylo Ren and is responsible for some of the best moments in the film. Kylo Ren’s struggle between goodness and the dark side, heightened by Driver’s performance, is exceptionally written, with Kylo ultimately remaining loyal to the First Order in the end. The action of the film also highlighted its composer, John Williams, who is responsible for the music in all previous Star Wars films. Several scenes demonstrate Williams’ amazing composition, including the battles between the Resistance and the First Order and Kylo Ren’s final confrontation with Luke Skywalker. Williams composed a score that artfully demonstrates the core of each side of the fight: the music of the Resistance is colored by hope, while the First Order’s score is tinged with despair. While most of the film is amazing, some parts are tedious or extraneous. The subplot of Finn, played John Boyega, and Rose, played by newcomer Kelly Marie Tran, for example, explores a new dynamic, but drags and feels forced at times. By its second half, the film overall feels noticeably weaker and altogether predictable. Despite this, however, “Star Wars: The Last Jedi” still delivers. The stage has been set for the release of the final film in the trilogy, “Star Wars: Episode IX,” in December 2019.